Ultra-thin, powerful and designed in a very innovative and modern way: the ARCO series will perfectly fit any MTB, trekking bike or other sportive vehicle. 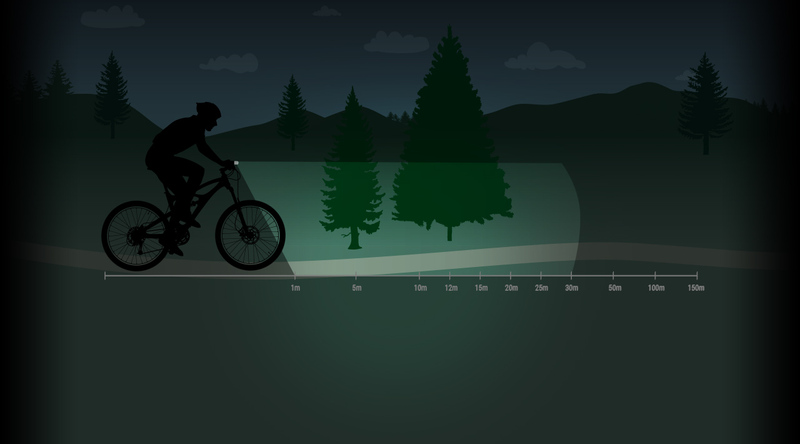 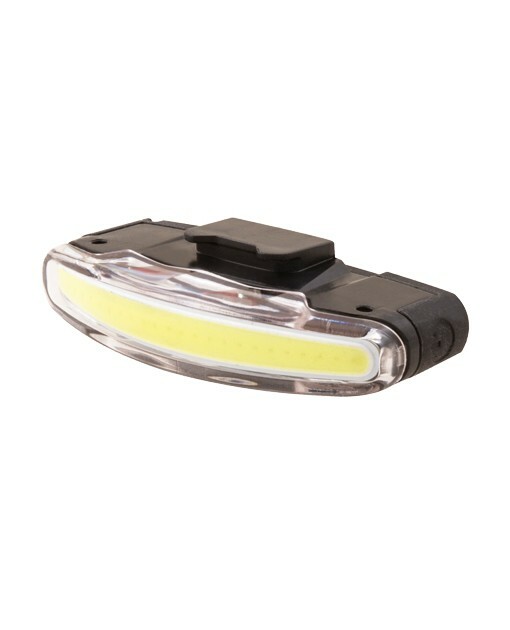 This light – featuring the ground-breaking COB LED technology – comes in a front light, rear light and as a set. 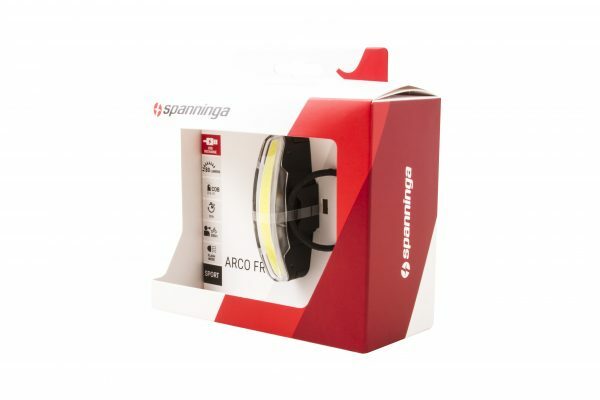 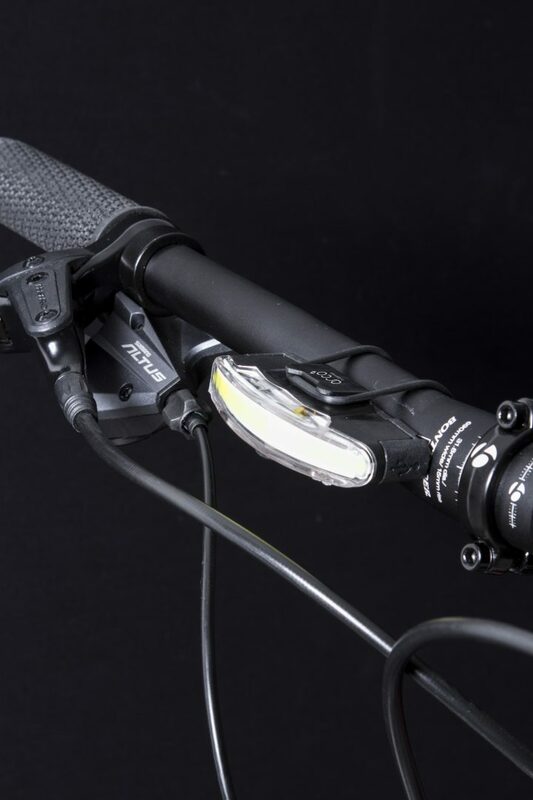 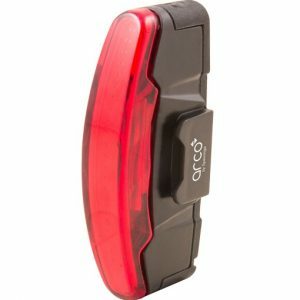 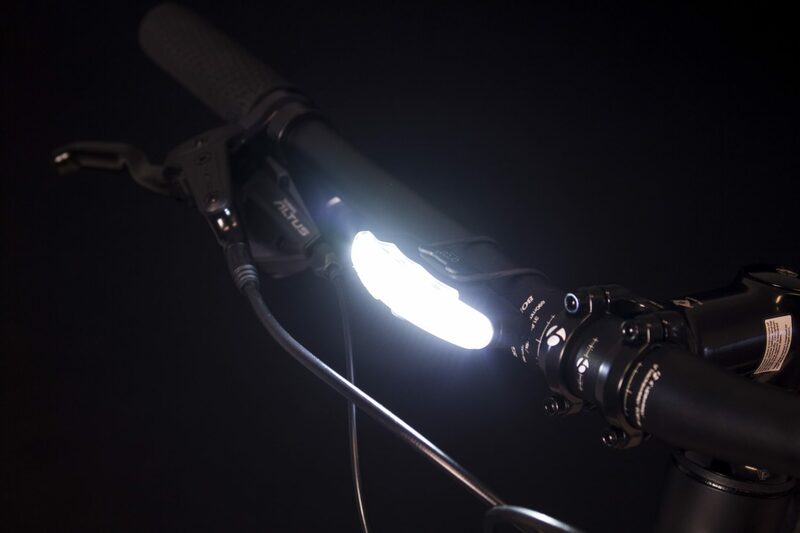 The ARCO FRONT suits the needs of any modern-day cyclist in several ways: not only by using COB LEDs, but also by featuring a USB-rechargeable battery. 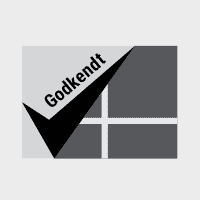 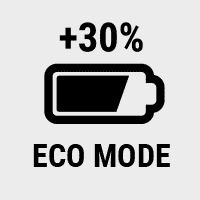 Good for the environment, as there is no need to replace batteries. 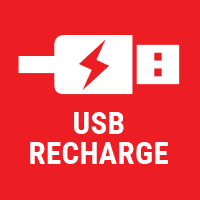 The ARCO FRONT is supplied with a micro USB cable, which can be used to recharge the battery on your laptop within a few hours only. 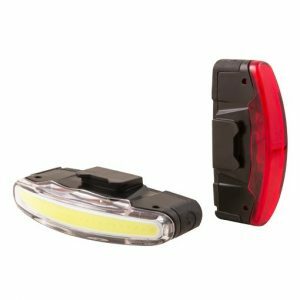 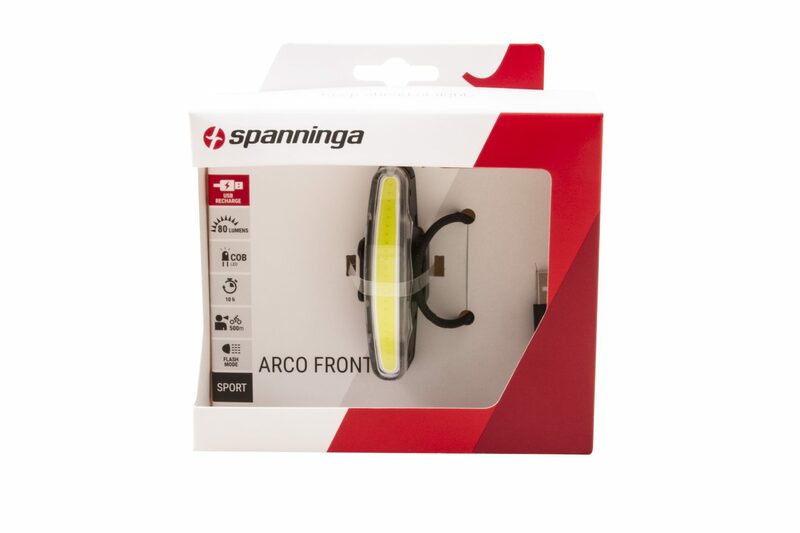 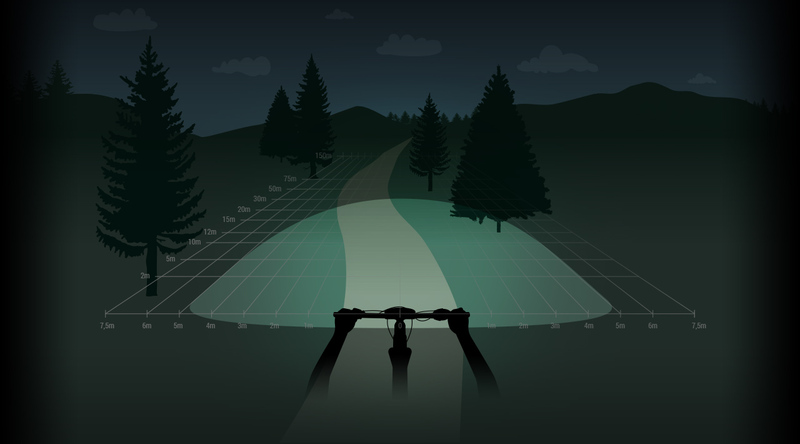 With an impressive 80 Lumens light output, the ARCO FRONT provides a very safe feature to your bicycle and ensures an optimal sight and visibility both in the city and more rural landscapes. 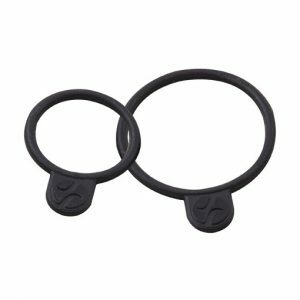 Supplied with 2 size O-ring brackets, the ARCO FRONT can be mounted quickly but firmly on handlebars. 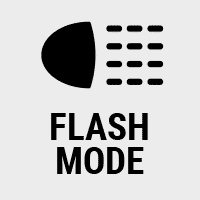 The ARCO FRONT has a remarkable burn time of 8h (in eco mode), 10h (in flash mode) and 5h (in on mode). 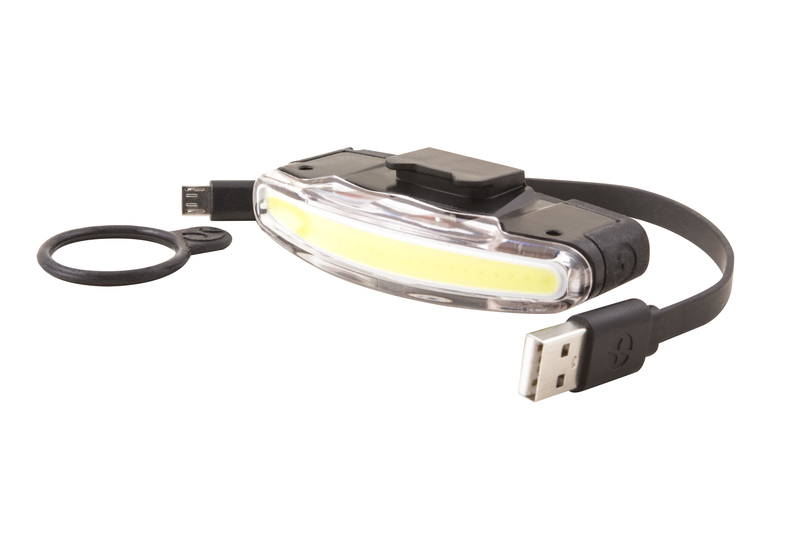 This headlamp is very light weight (<30g) and features a handy battery load indicator: when the light starts to burn, it is time to recharge your battery.